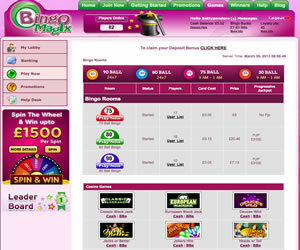 Bingo Magix is one of many brands available on the Internet today that is powered by the Cozy Games software on the Best Bingo Network. Whilst the product offers games that are okay in the playability stakes, the issues around the withdrawal process from the brand make this one of the brands that we can't endorse fully. Withdrawals are only processed twice a week, before being eligible to cash out any winnings from Bingo Magix you must have made deposits totalling at least £25 and the minimum withdrawal is £50, quite a bit higher than the minimum withdrawal from most brands online today. There are other issues with the product as well; ticket purchasing is restricted if you have yet to make a deposit and the chat hosts use the smileys excessively making chat hard to follow. However, having said that, in the brands favour '“ they do allow bonus funds to be used to play their slot games but in our opinion, that is the only redeeming feature. The home page design is quite boring in comparison with many other brands available online today but you can't avoid having your eyes drawn to the welcome bonuses considering the high no deposit required bonus on offer. You should note that this is not instantly credited upon completion of the registration process; you have to first validate your account through a welcome email and then complete your online profile to receive the full bonus. Additionally, you may have issues with registration if you have accounts with any of the other brands on the Best Bingo Network. However, you can use your sign in details from other brands to login and play with Bingo Magix, you simply won't be awarded any of the bonuses offered by the brand. At the time of the review there were just two rooms open at Bingo Magix and these offered 80 and 90 ball games but the Cozy Games product also has 30 and 75 ball games. It could simply have been that we visited the site at the wrong time of day. 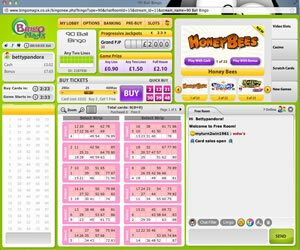 When in any of the bingo rooms the layout is the same as with all brands using the same software provider; the bingo call board is to the left of the screen, your tickets in the centre with purchasing options above and game prizes at the top of the screen and the chat room to the right with a selection of instant win games above that. You'll notice that whilst a game is in play that you can purchase tickets for the next game yet ticket prices do not show. This can cause issues should the price jump from one game to the next (although for the most part they appear to stay quite low at Bingo Magix). Unfortunately, as with the majority of brands powered by the Cozy Games product, the withdrawal issues let the brand down meaning that Bingo Magix doesn't get our stamp of approval. 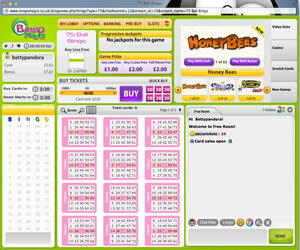 Bingo Magix offers two different types of bingo game at their site. You are offered 80 and 90 ball in a number of rooms, some of which have access restricted to those who have made a deposit. However, the Cozy Games products have the option to offer 30 and 75 ball too, it could just be that we reviewed the product at the wrong time of day. The site offers a wide variety of instant win games, all of which can be played using either cash or bonus funds. The minimum withdrawal amount is £50. Wagering requirements with Bingo Magix are variable dependent on both the games you are playing and the bonus option you have chosen. You can find all the details of these in the FAQ section of the site under the Withdrawal Rules section.